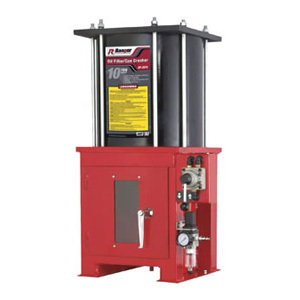 Ranger - Tilt-Back Tire Changer - Gary Bloom Sales, Inc. 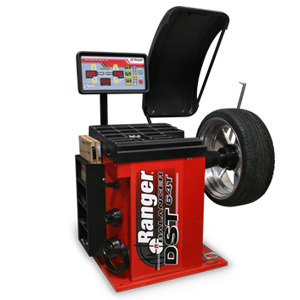 The Ranger R76LT tire changer performs masterfully on a wide variety of wheels including OEM. 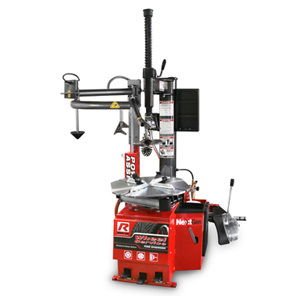 This equipment has ergonomic controls, tilt-back tower design, advanced clamp positioning and much more. 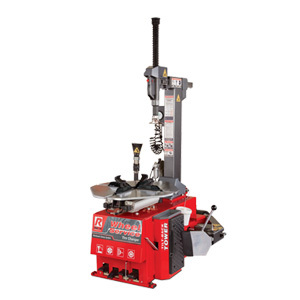 This professional grade Ranger R76LT is a tilt-tower machine large turntable that provides an internal clamping capacity of 30″ and external clamping capacity of 28″. 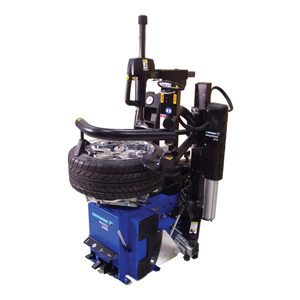 A sturdy body, rigid 45mm hexagonal vertical shaft, and hardened‐steel horizontal outrigger support arm eliminates flex during all tire service procedures to reduce the chance of expensive wheels getting damaged. Bead seating and tire inflation is simple and effortless with Ranger’s exclusive TurboBlast™ portable bead seating system. Ergonomic controls are sensibly placed to minimize excessive reaching, walking, or bending resulting in more jobs per day and increased profits.